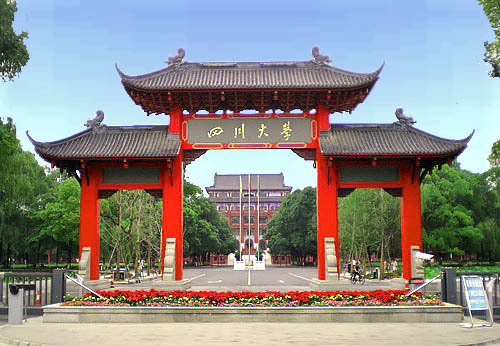 The Sino-British Materials Research Institute (SBMRI), located on campus Wangjiang of Sichuan University, was founded in 2012 and unites two leading universities in the UK and China. Hosted at Sichuan University the institute is headed by Prof William Gillin (Queen Mary University of London) and Prof Min Gong (Sichuan University). The institute employs a team of international academics who work with an expert team of Chinese academics to facilitate cutting edge research. ecting its strong international status. Queen Mary is situated in the East End of London, an area rich in international culture and known for its diversity. 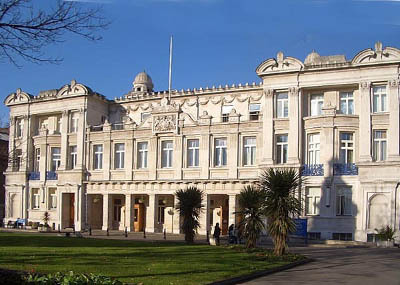 The University has its roots in four historic colleges: Queen Mary College, Westfield College, St Bartholomew's Hospital Medical College and the London Hospital Medical College with the earliest dating back to 1785. The university has13,240 undergraduates and 4,600 postgraduates of which 1,858 are EU students and 5,932 are international students. The students and staff come from over 151 different nationalities. The university is comprised of 5 campuses and offers over 240 degree programmes. Over the years the university has built strong research foundations both domestically and internationally which, combined with its excellence in teaching, has put Queen Mary in the top 100 universities in the world as well as in the UK elite Russell group. QMUL has been ranked 9th among multi-faculty institutions in the UK. In particular Queen Mary has forged strong relations with China and currently has 2,000+ students studying in Beijing, China for a joint degree from the Beijing University of Posts and Telecommunications and Queen Mary. 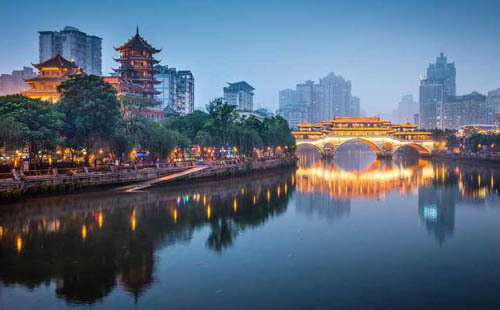 Some of the many sites in and around the city include the famous jingli street where the historic setting is a perfect backdrop for the many traditional stalls and food places. It is also home to many temples and mountains such as Emei Shan and Qingchengshanblends. As the starting point of many tours it is easy to venture to the famous Giant Buddha, the Dam of Dujiangyan and picturesque Jiu Zhai Gou as well as get up close with the Giant pandas. The institute aims to bring together leading scientists from around the world conducting high-end research across a wide range of disciplines. Working with Queen Mary, University of London, the institute will combine the work from top facilities as well as provide newly equipped research laboratories for international and collaborative use. With over 10 million RMB investment at goverment and local level, the institute carries out research in various fields and aims to expand its research globally to include the work of other leading institutions and academics. The goal of the institute is to advance science and technology and become a beacon of research for not only the west of China but all over the world.